Matt: This is the second one in a series of articles from Parker Stevens. In this article he talks about using R with Power BI. If you missed his first article “Introduction to DirectQuery” you can read it here. Parker: Power BI comes with a ton of built-in features but eventually you might find yourself wanting more. I sometimes see people asking for certain charts and functionality when the reality is that you can build them for yourself in just a few lines of R code. R is a statistical programming language that has been around for quite some time. R is mainly used for performing statistical analysis, machine learning, and data visualization. With a large number of plotting packages, R allows anyone to create awesome visualizations that aren’t available out of the box in Power BI. In this post, I’m going to show you how to set up R on your machine and share with you two of my favorite R visuals that can be written in just a few lines of code. 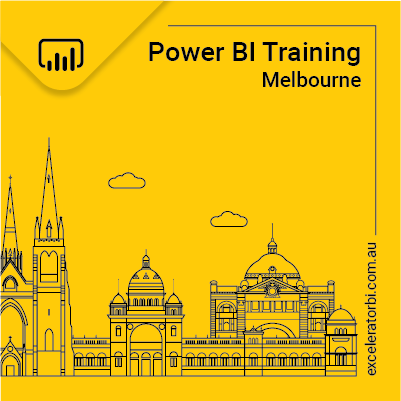 In the first couple of sections we are going to cover installing and setting up R in Power BI and quickly walk through the basics of how to use an R visual. If you already have R set up or are familiar with the process to bring data into an R visual, please skip down to the “3D Scatter Plot” section to jump right into writing the R code. If you are going to use R with Power BI, you first need to install R as a separate application on the same PC as you use with Power BI Desktop. Once installed, it can be used directly from within Power BI Desktop. The required R application can easily be installed in just a few clicks. Assuming you’re using Power BI on Windows, you can download the required R application from here https://cran.r-project.org/bin/windows/base/. This link allows you to install the 32-bit version on 32-bit computers and both 32-bit and 64-bit versions on 64-bit computers. I also recommend installing R Studio in order to make writing and learning R a whole lot easier. While not required, R Studio is an integrated development environment (IDE) that helps by providing auto-complete syntax for the basic R language and any packages you might be using. You can download it here (select the free, open source version) https://www.rstudio.com/products/rstudio/download2/. Once you have R installed on your machine, hop over to Power BI Desktop and open up Options (#1 below). Click on “R Scripting” (#2 below) and make sure it is pointing to your newly installed R program under “Detected R home directories” (#3 below). Mine was installed to C:\Program Files\R\R-3.5.1 as shown below. If it hasn’t picked up the program location automatically, find R on your machine and enter the path. If you downloaded R Studio, make sure that it is showing up under “Detected R IDE’s” (#4 above). Again, this isn’t necessary but can be helpful. Before we jump into some fun and useful visuals, let’s take a second to understand how to bring one into your report. Click on the blue “R” in the Visualizations pane. If this is your first time using an R visual in the current report, it will ask if you want to “Enable script visuals”. **IMPORTANT** Clicking Yes will allow whatever R code is present in the PBIX to run on your machine. R is a versatile language that can be used to run different kinds of scripts on your computer. Therefore, only select Yes if this is a new Power BI workbook or if you trust the file that you are viewing. For our purposes, you can select yes and an interesting visual will appear. A blank visual appears along with an R script editor on the bottom. However, you can’t do anything with either of these until you add a column into the Values placeholder of the visual. Next, I am bringing in both columns from my new table into the R Visual (I placed X and Y into Values and set their aggregation to “Don’t summarize” similar to how you would for a normal scatter plot or table visual). This opens up the editor and now allows you to start typing R code. By default, the field or fields that you are passing into the R visual will be represented in what is called a “dataframe” in R. This is basically a table of data and ours has been automatically named “dataset.” The first 4 lines of code in the image above are comments about the data and were automatically created by R and Power BI. In order to access the data that I loaded in the table, I simply need to type refer to their R columns names in the following format: dataset$X and dataset$Y. In this quick example, I typed the following R code to plot X against Y. Plot is a simple R function that will plot the data from the 2 columns in the table onto a chart. Note that R is a case sensitive language, so may sure you type the commands exactly as shown. If you type in code that does not result in a plot of some sort, the visual will produce an error. Now that you know how to bring in an R visual, pass in a column from your data model, and create a plot, let’s dive into a couple of fun examples of plotting in R.
I love scatter plots for their ability to disclose a ton of information in a small amount of space. Scatter plots in Power BI are restricted to 2D visualizations which is pretty standard. However, in R, we can create a three-dimensional representation of a scatter plot with very minimal effort on our part. The reason this is easy for us is because we can use code others have already written, bundled into what is called a “package”, that is available for download and use in our script. In this example, we will create this 3D scatter plot with the ability to rotate the visual to view the model from different perspectives. Let’s get started by importing some data. For this next section, I am launching RStudio. If you installed RStudio you can follow along. Lucky for us, simply installing R provides a ton of datasets to practice plotting. To view which datasets are available, type data() into the R command prompt from RStudio. The list of datasets is visible in RStudio as shown above. To access one of these datasets from Power BI, you will need to go back to Power BI Desktop, click on Get Data, click on Other (#1 below) and then double-click on R script (#2 below). At this stage, we are about to run an R script inside of Power Query as a way to load data into our model. I would like to make it clear that there are only two places within Power BI that you can run R scripts. 1) Within Power Query (as in this example) and 2) Within an R Visual (a little later in the post). This opens up another editor to type in R code. In this instance all you need to type is data(iris) and click on OK. This will load the built-in Iris dataset, a popular dataset that has been in use since the 30s. This data explains the differences amongst separate species of flowers. We will use it because the data is grouped into three, well-defined classes that will be easily viewable in the scatter plot. Select the “iris” table (#1 below) and click on Load (#2 below). The iris table of data will now be available to you in your data model. As you can see, we have data for the sepal lengths and width, petal length and width, and species. Let’s create a new R visual using this sample dataset just loaded, this time bringing in Sepal.Length, Sepal.Width, Petal.Length, and Species into Values. Any columns that you need to use in your plot must be added to the Values section of the visual. You can also have other columns in your table that are not used for a specific visual too. For this demo, you need all four columns in the Values section so they are available to use in the visual/plot. and click on the Enter key. The line of code above is R script – pretty easy to see what it does, right? Now the package has been installed, it will be available for you to use now and anytime in the future. Jumping back to Power BI, type in the following code in the R script editor at the bottom of the visual (this is R script again). This may look like gibberish at first, but it becomes easy to understand after a little while. First (line 1) we are importing our new package by calling library(scatterplot3d). A package is just a set of pre-prepared code that will do a specific task – in this case it creates the ability to create a scatter plot in 3D. This first line of code allows us to use the scatterplot3d functions but does not add anything to the Power BI model. We are simply importing the package within the script for 1-time use each time the visual is run. Next (lines 3, 4, 5) we are assigning one of the columns from the data to one axis (either x, y, or z). Finally (remaining lines) we are plotting the 3D scatter plot with x, y, and z, along with a few other parameters. The color parameter colors the points based on the species of flower. PCH stands for plot character, and a value of 19 makes each point a large, solid circle. And finally, the xlab, ylab, and zlab parameters create the axis labels. Note that the scatterplot3d() function is the only code that is specific to the scatterplot3d package; everything else is the native R language. Click the run button (looks like a play button) and behold your 3D scatter plot! It’s pretty neat already, but let’s add the finishing touch to allow a slicer selection to rotate the model. Matt recently shared a post that showed how to use What If Parameters. We are going to do the same here. Create a new What If Parameter and set it up like the following. Now take a look at the interactive 3-D model you’ve created! Click around with the slicer and view the model from different perspectives to get a feel of the three dimensions. Once that’s installed, we will call the library and import the “economics” dataset. This built-in dataset shows cool trends of economic data such as personal savings rate and unemployed population over time. In these first couple of steps, we are going to assign the “date” column to be our X dimension, “psavert” (personal savings rate) will be our first y-axis, and “unemploy” will be our second y-axis. Since we need to plot something in order to avoid the R visual throwing an error, we can call the basic plot command with some parameters for formatting. Off to a good start. Let’s now add the second y-axis. You do this by calling the par() function which will allow you to plot another series on top of the existing one. Input the following finished code into your R visual and we’ll walk through the additional lines that we added. Pretty neat and not too many lines of code. If you’ve ever complained to Microsoft about how they need to add a line chart with two axes, here’s a DIY solution! I hope you enjoyed this quick walkthrough of how to use R visuals to extend the base functionality of Power BI. I find that if Power BI is lacking a certain visual that I need for a project, building the visual manually in R is always a fun experience with a good payoff. Recently, Power BI added Python to the list of languages available to use. The general methods of running scripts via Power Query and inside of the visual can be applied to Python scripts as well! Happy coding! I don’t see mention of using R in it. Did I miss it?